WHAT IS WA B58 MiNi? 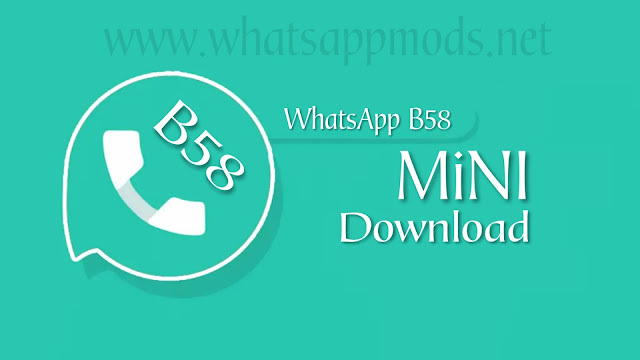 WhatsApp B58 MiNi is a mod of the famous WA app. 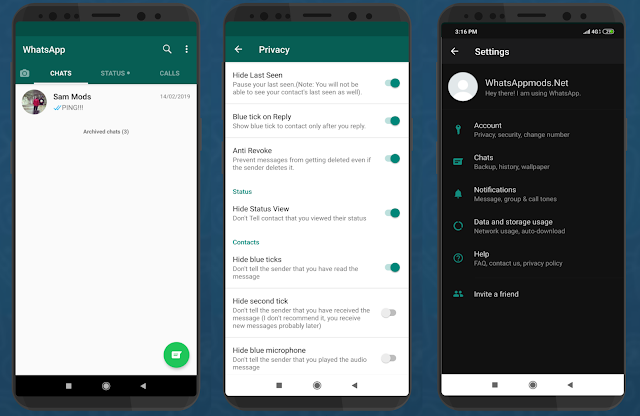 A Privacy mod, that provides TONs of Privacy features including Status Downloading, Freez Last Seen, Hide Blue Tick , Hide Second Tick, FULL PRIVACY mods, and many more. and WhatsApp B58 MiNi Mod Made By SamMods & B58 team. *All types of privacy included. (hide last seen,hide status view,blue tick,double tick,typing,anti revoke, hide status view,BOR). *Users can use it to create their mod. If you want to use it to create your mod,you may use it with proper credits. 14 Responses to "WhatsApp B58 MiNi v18.1 Latest Version Download Now"
NOO ANSWER ? NOO REPLY ? NOO RESPONSE ? For fingerprint lock, does it work even though my cellphone has no fingerprint? to add the upload of photos / videos with the highest quality for status? Do they ban my account if i use mod?? Why dark mode after I activate only functions in the menu settings whatsapp? Why no effect on the home chat? Ola vai ter atualização do WhatsApp Transparente?